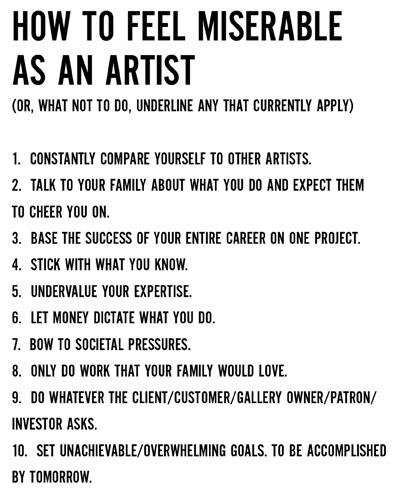 I got first in touch with the "How to feel miserable as an artist"-list when sent to me by email for an audition. I loved it so much, that I wanted to know who did that and found Keri Smith. She has inspiring thoughts and so I share this with you. Keri Smith Original on the Blog.